Shawky Gharib has been appointed Egypt's Olympic team coach for a second spell, the Egyptian Football Association (EFA) announced on Tuesday. The EFA said in a statement that Gharib will be assisted by former players Mohamed Shawky and Wael Reyad, who both played under his guidance when Egypt made history by finishing third at the U-20 World Cup in 2001. 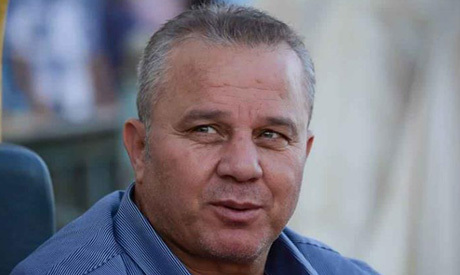 Gharib came across as a promising coach following the 2001 achievement, after which he was tasked with qualifying the Olympic team for the 2004 Games in Athens. However, Egypt faltered badly in the qualifiers, losing all games in their group. Gharib then became the assistant of Hassan Shehata during a glorious reign for Egypt's senior team, with the Pharaohs winning three straight African Cup of Nations titles in 2006, 2008 and 2010. The 58-year-old took charge of Egypt in 2013, two years following Shehata's departure, but was sacked a year later after the team failed to reach the 2015 Nations Cup following a dismal qualifying campaign. Gharib also managed Egyptian Premier League clubs Smouha, Ismaily and El-Entag El-Harby. His main task will be helping Egypt qualify for the 2020 Tokyo Games after the team had missed the 2016 edition in Rio de Janeiro. Egypt last took part in the Olympic Games in 2012, reaching the quarterfinal before losing 3-0 to Japan in Manchester.